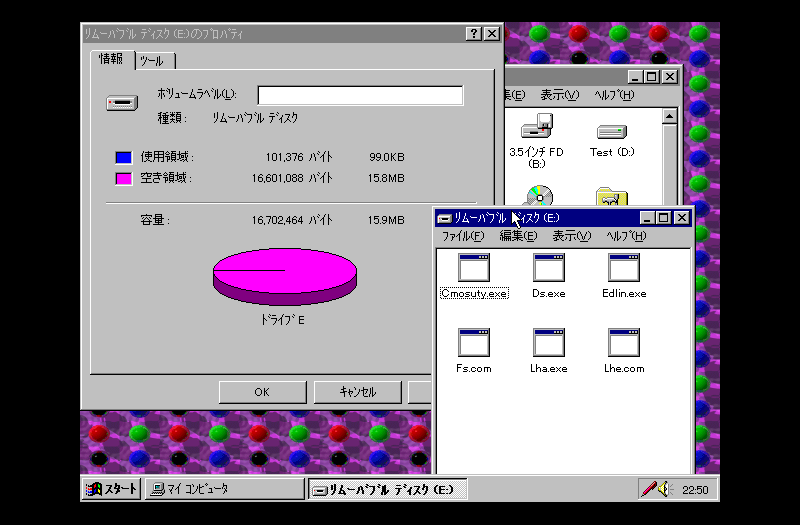 Added support for the FM Towns IC Memory Cards, which are PCMCIA SRAM cards that connect to the system's PCMCIA slot. To allow it to be used in MS-DOS, TownsOS or Windows95, you must add the DOS device driver to config.sys in the OS disk's root folder. You can use Notepad, the Towns OS text editor, or EDLIN (MS-DOS 6.2 doesn't include QBasic/MS-DOS editor), to add the line DEVICE=\DOS\TMICM.SYS /U0 (MS-DOS or Win95), or DEVICE=\SYS\TICM.SYS /U0 (TownsOS). You can create a blank memory card from MAME's File Manager, and format it with TMICMFMT.EXE (or TICMFMT.EXE on TownsOS). Important notes: This is limited to 16MB for now, as I have no software that allows the full 64MB to be used to test it with. If anyone knows of any FMT software/drivers that will do this, please let me know. Also, Win95 does not like the older versions of TMICM.SYS, so it's a good idea to copy the versions of TMICM.SYS and TMICMFMT.EXE from the Win95 CD. They are located in Q:\Drivers\Towns\Icmemory\.